Satellite Internet for RVs has a longstanding reputation for being slow and pricey, but that’s no longer the case. Mobil Satellite Technologies’ new RV DataSat840 and Intra-Sat Service is the biggest leap in broadband satellite Internet system for RVers in years. This new system features the best professional-grade components of a government or commercial system, but with all the ease of use that consumers have demanded for years – without a service contract. If you love going off the beaten path but need reliable, fast connectivity, the RV DataSat840 is the answer. This is a fully automatic, rooftop mounted satellite antenna system for RVs that includes a one-touch controller, .84-meter dish for increased signal strength, iDirect Evolution X5 satellite modem and six-watt transmitter. After an initial investment for the $5995 hardware plus installation charges, users of the DataSat 840 only pay for the bandwidth they need, when they need it. The user simply pushes a button to deploy the antenna and open a browser, then uses a credit card to buy the service plan they need. According to Mobil Satellite Technologies, the antenna can connect to the web portal any time that the antenna is deployed, whether there is a current service plan in place or not. Development of the new Intra-Sat system means that RVers can literally travel anywhere without being tied to cell towers for Internet connectivity or being locked into a monthly service contract. Users of the DataSat 840 can simply buy a plan on demand when it’s needed and use up the bandwidth within the allotted time frame. Another added bonus that makes the DataSat 840 light years ahead of its predecessors is there is no daily FAP (Fair Access Policy) limit. Use as much broadband as you need, until your plan runs out. If the plan allotment is exceed, it’s as easy as buying another plan or just switching to cell tower broadband Internet. Since 1997, Mobil Satellite Technologies has been providing mobile and portable satellite internet connectivity and satellite TV to mobile command centers, race teams, offices, home offices, buses, ships, boats, mobile bank branches, mobile insurance claims centers, and RVs. We specialize in all types of fixed and mobile satellite internet and satellite TV systems and services. 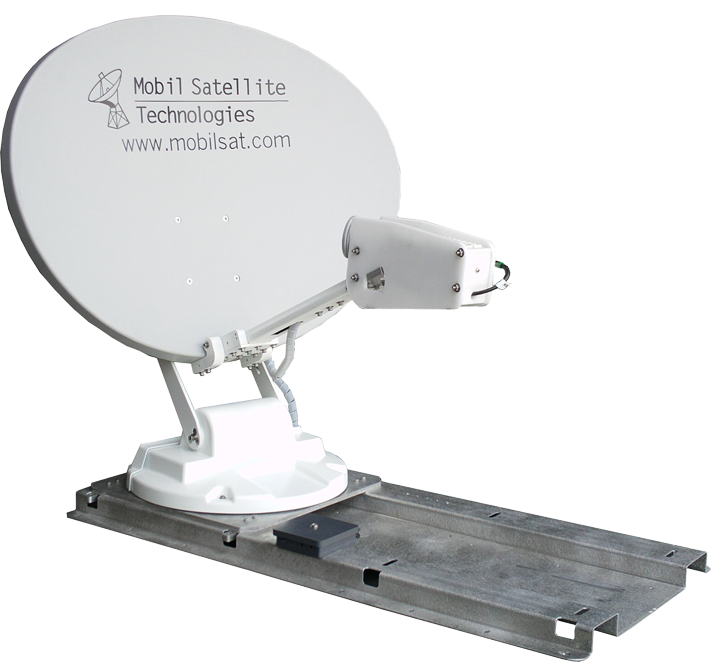 For DataSat 840 equipment pricing and ordering information Click here to complete a brief online Information Request or call Mobil Satellite Technologies 757 312 8300 to speak to a satellite expert.